1All the herbs are cut into small pieces and placed under the skin of the chicken. 2Immerse it in a marinade of rosemary, oregano and wine and let stand overnight. 3Bake for half an hour covered with foil or until tender, then remove the foil. 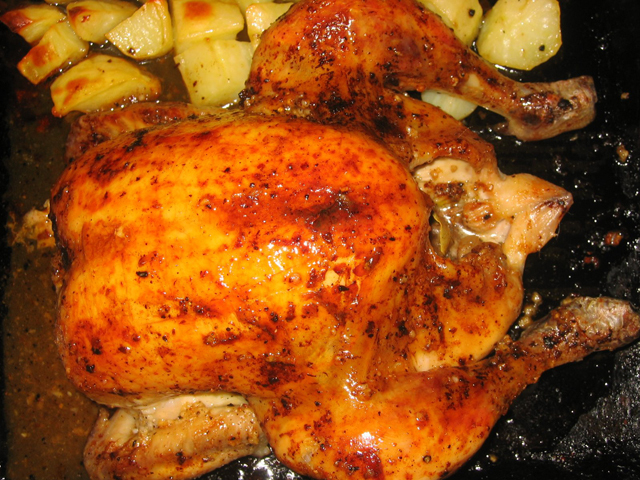 4Lubricate all over the chicken and add honey to taste.